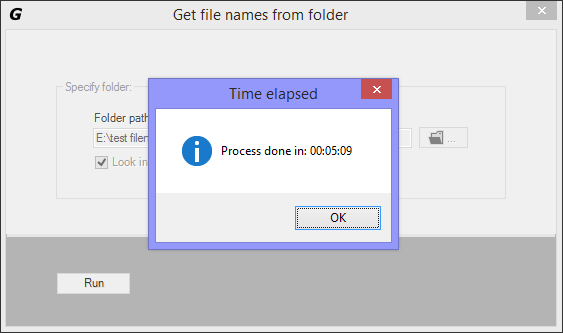 Get file names from folder in action. Get file names from folder module will help you write file names in Excel cells. 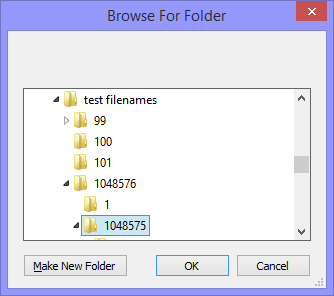 One can write up to 1,048,575 file names from the specific folder and/or subfolders into Excel cells. If there are more than Excel rows number limit (1,048,575) to export, then you are promped to save those file names into a csv format. 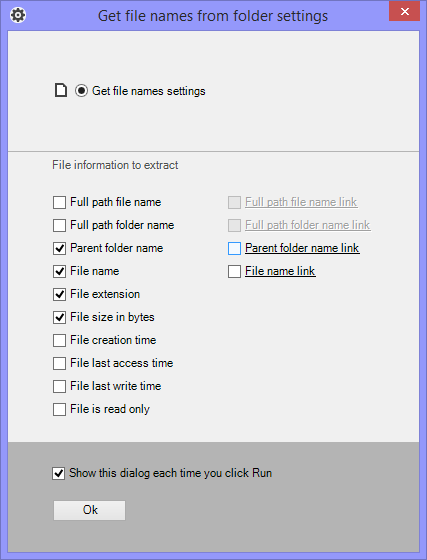 Also you can get extra information along with the file name, such as full path file name, full path directory name, parent directory name, etc. The following tutorial will show how to write file names from folder and/or subfolders in Microsoft Excel cells. After installing make sure the Gegprifti tab is showing. Go to Gegprifti tab and then click "Get file names from folder" button. In the "Get file names from folder" window click the "browse for folder" button. 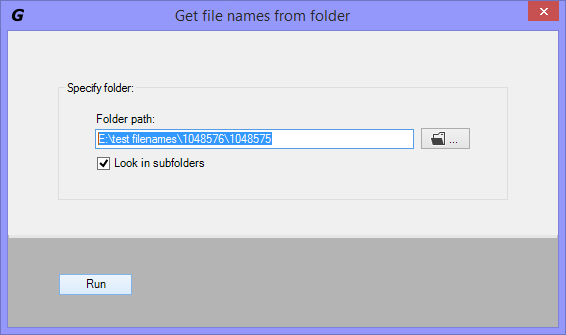 In the "browse for folder" dialog box select the folder you want to import file names from. 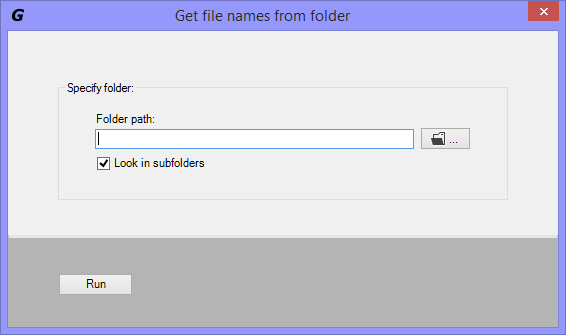 After specifying the desired folder path check the "Look in subfolders" checkbox if you want to get file names from subfolders. Click "Run" to start importing. Wait a minute and see the result. For this demonstration I did imported the maximum of file names (maximum of rows you can write in an Excel sheet) 1,048,575. In my machine that process took about 5 minutes. See the result below.